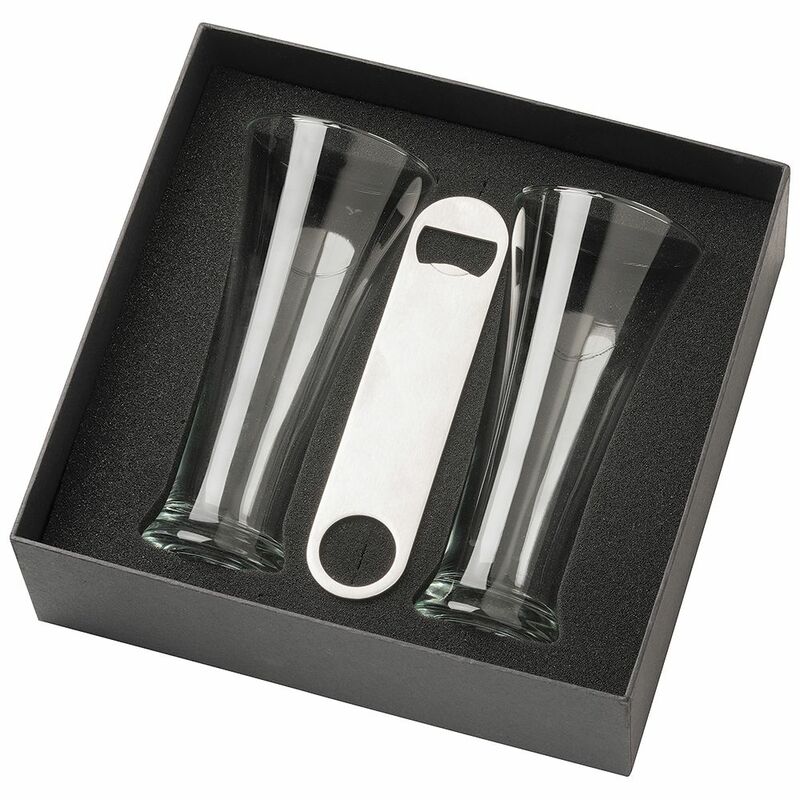 Lovely two piece pilsner glass set with opener. Supplied in a classy two part black gift box with foam insert. 350ml capacity. Each item printed with your logo.